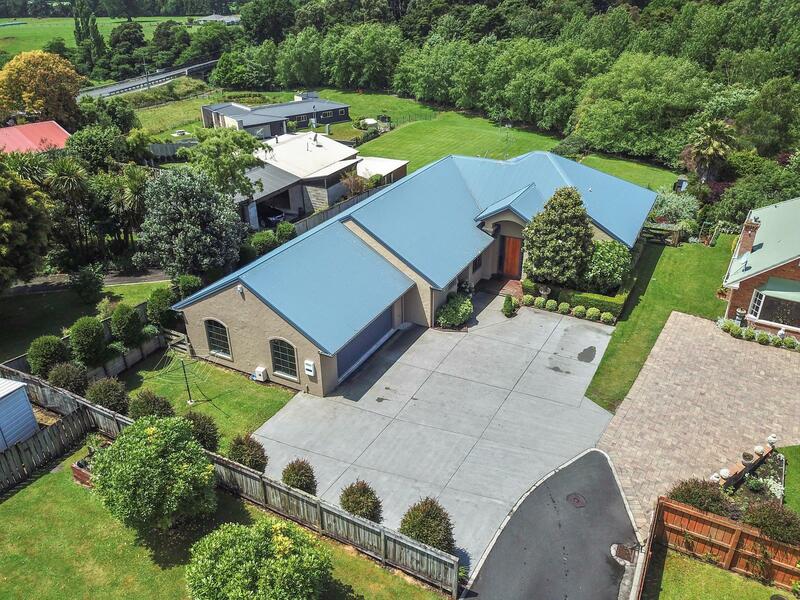 Built in 2001 and set on over half an acre within the town boundary this contemporary home boasts a sizeable 250m2 footprint which will encapsulate you by its scale and executive charm. A perfect layout for families ensures room for everyone with 4 double bedrooms, double internal access garaging, and ample storage. The spacious master retreat makes up the east wing of the home and not only provides walk in robe and en-suite, but its own private balcony to the green vistas that surround. Both formal and informal living spaces lead seamlessly to the rear deck, elevated and private, with hypnotic views of the surrounding woodland and distant pastures. The landscaping is now mature and established and has been designed for high impact and low maintenance. Follow the meandering grass path to your lawn below, a perfect place for the kids and pets to play, or perhaps host your very own private garden party. Our vendors have now purchased and are motivated to sell. Call the Property Brokers team today for your personalised introduction to 12 Oak Street.